Allison Rosen dressed up on March 1, 2018 for “Dress in Blue Day” in honor of Colon Cancer Awareness Month. 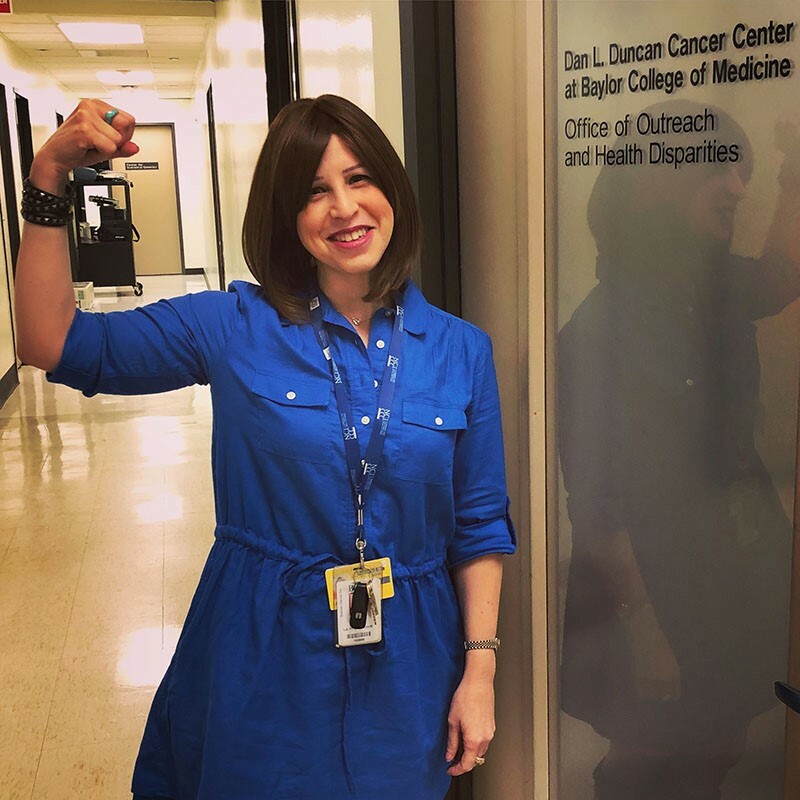 While many Houstonians were driving around town to admire Christmas lights last December, colorectal cancer survivor Allison Rosen was searching for red and green lights for another reason. 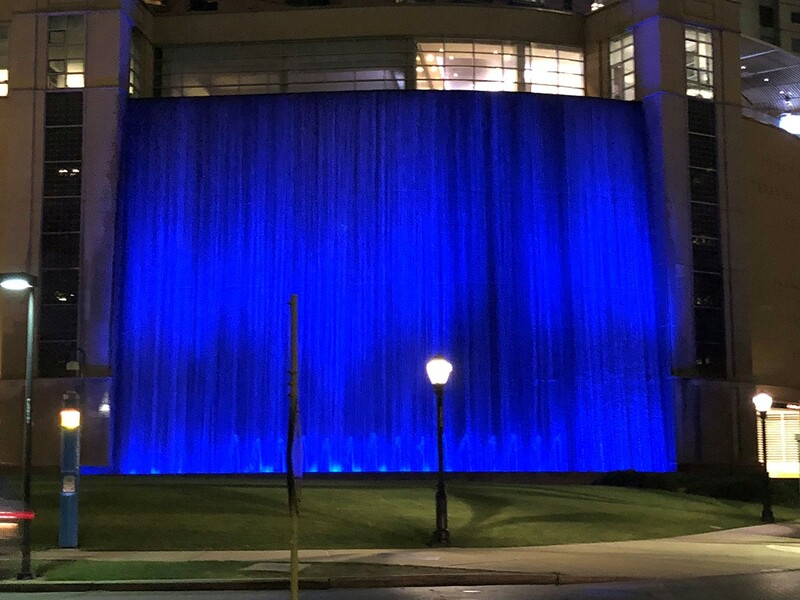 As the leader of an initiative to light Houston blue in honor of colorectal cancer awareness month this March, Allison was scoping out downtown buildings to determine which ones have LED lights, and therefore the ability to easily turn blue. Allison’s efforts to turn Houston blue are part of a larger, national campaign led by the Colon Cancer Coalition. As a part of the initiative, called “Beyond the Proclamation,” Allison is inviting local landmarks to “go blue” from March 3-10, while she and partner organizations put out a unified message, supporting cancer patients and promoting screening for this preventable cancer. The Texas Medical Center water wall turned blue last year for colon cancer awareness month. Colon cancer is one of the few types of cancers that, with appropriate screening, can be caught early and treated before the cancer spreads. The American Cancer Society currently advises anyone over the age of 45 get a colonoscopy, but Allison, who was diagnosed at age 32, believes there shouldn’t be a screening age. Recent research shows that people are getting diagnosed with colon cancer at younger ages, so Allison wants everyone to be aware of the signs and symptoms. 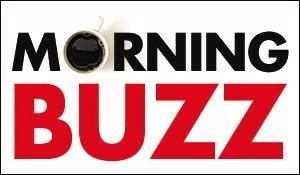 “You have to know your own body, and you have to know the signs and symptoms,” she said. By turning Houston blue, Allison also hopes to challenge the stigma against colon cancer. Growing up, Allison didn’t necessarily think she would one day work on cancer research and later serve as a fierce advocate for cancer patients. Allison grew up in West U and spent her summers working at Sunset Animal Hospital before going to A&M University for their pre-veterinarian track. But after graduating from college, Allison was not sold on a veterinary career, and she decided to pursue a master’s degree in forensic science at Sam Houston State University. Although her first post-graduate job took her to Virginia, Allison returned to Houston in 2005 to work in a stem cell biology research lab at Baylor College of Medicine. What Allison thought would be a short-term job as she figured out her career goals turned into a 12-year gig because Allison loved cancer research so much. 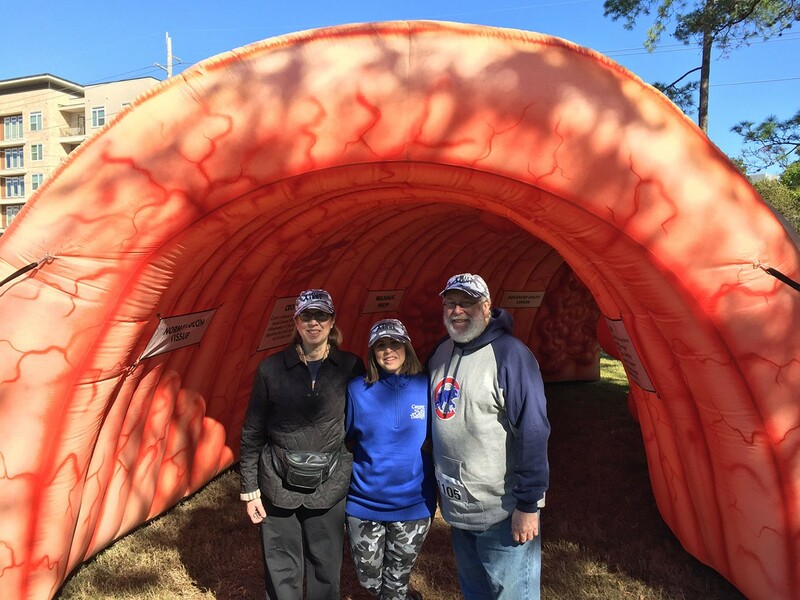 Allison Rosen (center) poses with her parents Nancy and Theodore Rosen in front of an inflatable colon that was set up at the 2017 Get Your Rear Into Gear 5K for colon cancer awareness. Seven years into working at Baylor, Allison’s world turned upside down. Allison had lived with Crohn’s disease for years, but the disease was in remission when she began feeling abnormal gastrointestinal symptoms. Allison had been traveling for a friend’s bachelorette party, but when she returned, she immediately called her doctor to schedule an appointment. At first, the doctor thought Allison had blockage in her colon, a common phenomenon for Crohn’s patients. The doctor had Allison drink a magnesium citrate oral solution to clear out her bowels. But when the symptoms persisted, Allison knew something was wrong, so she scheduled a colonoscopy. Through the scope, the doctor identified a tumor and diagnosed Allison with stage 2 colorectal cancer. What came next was five and a half weeks of radiation and chemotherapy plus a series of surgeries and recoveries. Now, five years since she was diagnosed, Allison has not only survived cancer, but she is thriving and serving as an advocate for so many other patients. “After everything I went through, I really found a voice in advocacy and started working with local non-profits,” she said. 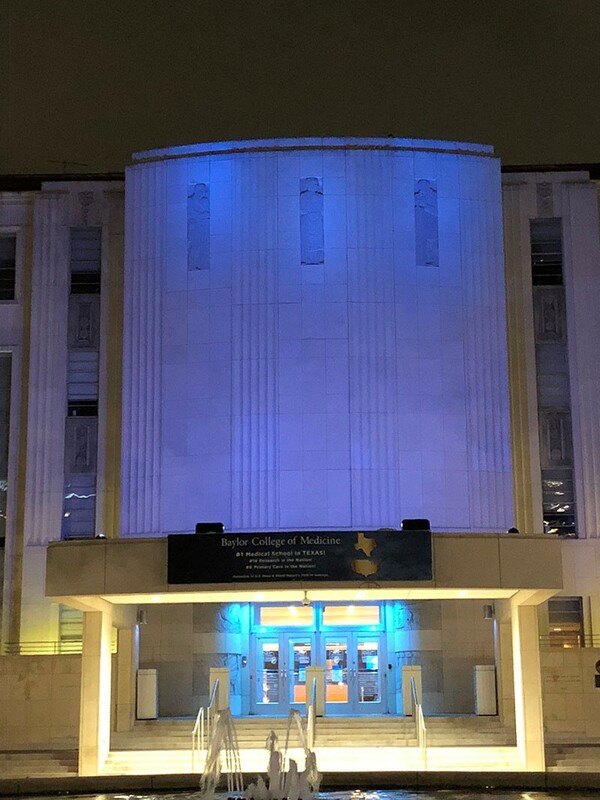 Baylor College of Medicine turned blue last year for colon cancer awareness month. In 2015, Allison participated in Get Your Rear into Gear, a 5K held in November dedicated to colon cancer awareness. Allison now serves as director for the Houston 5K, which takes place on Nov. 16 this year. At Baylor, Allison was offered a job in the Office of Health Disparities, focusing on educating underserved populations on colorectal cancer screening. So, Allison now spends the majority of her time – both in work and outside of work – helping cancer patients and increasing awareness about the cancer. “I want to make sure that people don’t feel alone and that they know there are support resources out there,” she said. Allison also led the initiative to turn Houston blue last year, but she is hoping to grow the program this year. Last year, eight buildings turned blue, but Allison has already enlisted support from more than 20 buildings this year, including the Houston Dynamo BBVA Compass Stadium, CenterPoint Energy and City Hall. Among those helping Allison with this initiative is St. John’s School 2012 graduate and Baylor College of Medicine student Elyse Lopez. Elyse, who is planning to specialize in oncology, is helping Allison call Houston building managers and coordinate with those who have committed to turning blue. For Allison, the drive to advocate comes from her own experience, and her understanding that she has the power to be a resource for so many people. She said that one of her friends who was diagnosed with colon cancer was financially strained and forced to choose between receiving treatment or putting food on the table for her child. That friend ultimately received financial support through various local non-profits, including Colorectal Cancer Alliance and The Samfund, but she had spent months unaware that these types of support systems even existed. 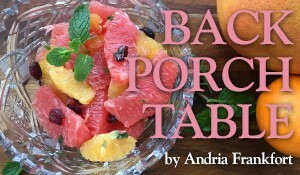 “There are resources for everything, and if I can be the portal to tell everyone about it, then I’m happy to do it,” Allison said. Although Allison still deals with the side effects of cancer treatment, she finds that there’s no time to dwell on the negative.